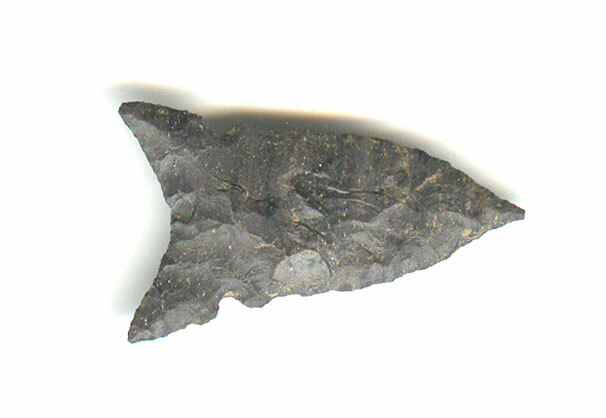 A Medium To Large Size, Thin, Very Well Made, Red River Focus Caddoan Ceremonial Notched Talco Point That Exhibits Surface Frosting Aging And Overall Stone Coloration Patination, Aging In The Side Notching, Correct Style Base And Overall Shape, Aged Surface Deposits, Overall Aged Surface Patination, Correct Material And Manufacture For The Area Found. The Type Is Found With Pottery And Most Often In A Cache. This Highly Collectible Example Is Unique By Being Side Notched, Being The Better Example Of The Group. The Maud Points Are Similar Only Not Having An Angled Type Tip! Includes A Ken Partain Certificate Of Authenticity!